The Near East Foundation (NEF) has worked in the Palestinian Territories since 1995 and has been registered with the Palestinian Authority as an international NGO since 2000. With the support of donors such as the UNDP, WFP, UNICEF, USAID, MEPI, and the Government of Sharjah, NEF has worked in tandem with local and international organizations to implement a range of projects in education, agriculture, environment and youth development. Based in Nablus, NEF-Palestine’s program staff—all of whom are from the West Bank—includes technical specialists in enterprise, community, and agricultural development. The NEF-Palestine team has cultivated long-term relationships with community organizations and government officials in dozens of villages across the northern West Bank. These enduring partnerships provide NEF with intimate knowledge of vulnerable Palestinian communities and a foundation of trust for mobilizing community action. Current activities are oriented around three core programs: early childhood education and school feeding, support for the olive oil sector, and support for women’s economic empowerment through business associations. In 2008, NEF helped establish the Palestinian Center for Agriculture Research and Development, whose members include community organizers and prominent technical specialists with whom NEF has collaborated regularly over the past 15 years. Our support to the Center is part of a long-term strategy to help establish a robust, creative, and highly competent indigenous development NGO. Women entrepreneurs in Palestine face significant barriers in their pursuit of starting or expanding businesses including lack of access to: 1) opportunities to access business development training, 2) capital, 3) new markets and 4) a supportive community and policy environment that recognizes and values women’s economic and social rights. 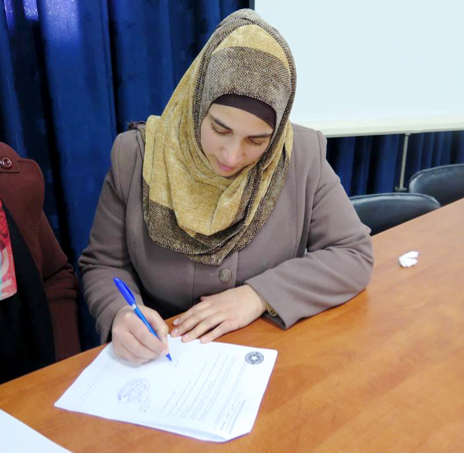 With funding with the Government of Canada and in partnership with CowaterSogema, NEF is implementing programming that will increase economic empowerment and prosperity for low-income women in Palestine. Working with women and young women leaders mainly in the agricultural sector, NEF will work to advance productivity and competitive advantage for women while making efforts to increase their role in social and economic spheres in Palestine. Components of the project will include business management training, assistance in the development and implementation of sustainable business plans, technical training on processing techniques and innovative marketing, and the use of cooperatives to provide a network of support. Restricted access to land, water, agricultural inputs, and markets has harmed the agricultural sector and the welfare of Palestinian farmers. Closure has slowed the flow of technology and market information into the West Bank. Cut off from new agricultural technologies, Palestinian farmers continue to rely heavily on traditional practices with little innovation and few opportunities to increase their income. However, improvements in productivity and market access through the adoption of improved technologies can benefit both Israeli and Palestinian farmers and markets. NEF expects 33 date farmers and 111 greenhouse farmers will adopt advanced irrigation systems with crop management technologies over 507 ha, and hundreds more will have improved understanding of and access to farm improvement loans. NEF expects that farmers that adopt advanced irrigation systems will experience an increase in gross margin of 20% on average and a 40% reduction in the amount of water used at the farm level. In total, PAWM will reach at least 522 unique beneficiaries over the project implementation period of which 30% (157) will be women. PAWM creates a sustainable and locally-owned foundation for modernizing Palestinian agriculture and improving product quality by establishing private sector mechanisms for technology dissemination and farm equipment financing. This is expected to reduce the trade imbalance and increase farmer productivity and profit for both Israelis and Palestinian, resulting in additional collaboration and reduced tensions. Mobility limitations have resulted in a generation of Palestinian and Israeli youth who are susceptible to negative stereotypes, having never known people from the ‘other side’. The separation barrier stifles social and economic ties between the West Bank and Israel. Today, only 21% of Jewish Israelis indicate that their communities interact with Palestinians from the West Bank; Palestinian interactions are generally limited to Israeli settlers and soldiers. Cut off from agricultural developments, significant productivity disparity exists as Palestinian farmers rely on traditional practices with little innovation and few opportunities to increase income. The goal of the project is to support conflict mitigation and reconciliation between Palestinians and Israelis by building greater understanding and trust between the two communities through cross-border peacebuilding & negotiation training, trade events, policy roundtables, production & post-harvest skills training, and joint actions to remove barriers for cross-border economic collaboration. This increased people-to-people engagement will offer greater opportunity for economic activities between the two communities, particularly in the date, dairy, herb and vegetable sectors, while also helping to break down mistrust and competition that can lead to violence. Through this project NEF will work with 152 young Palestinian and Israeli agronomy students; 1,600 community stakeholders, including farmers, processors, & distributors; and 60 industry, government or academic leaders. Farmers in both Palestine and Israel have the potential to increase the value of their products and access new markets; however systemic barriers and a lack of trust between the two communities limit the development of these opportunities. This has led to lower incomes for farmers, high unemployment among potential agronomists & farm innovators in rural communities, and lower productivity for agribusinesses in general. Among community leaders and politicians, there is limited collaboration between Palestinian and Israeli authorities, and opportunities to reduce the barriers to cross-border economic collaboration between farming communities have yet to be realised. Most people’s experiences and perceptions of “the other” are generally negative, with limited daily contact that can build understanding and trust between Palestinians and Israelis. With funding provided by the EU, NEF UK will be working to overcome these barriers, contributing to both economic and social improvements in communities on both sides of the border affected by the ongoing conflict. This project will Improve conditions for cooperation in agribusiness development, and support cross-border joint ventures in value chain development of olive, date, and vegetable producers. NEF UK will train 25 agronomists from Palestine and Israel to provide peer-to-peer training and support through community-based agriculture extension services for 2,400 people (400 young farm innovators and 2,000 additional community farmers) to introduce improved production and post-harvest handling techniques. Small grants will be provided to catalyse cross-border value chain development initiatives. NEF UK will also engage 30 leaders on both sides of the border to encourage policy changes that support cross-border information & technology sharing and greater market access. NEF is establishing a network of twenty 0.7-hectare (7 dunum) agriculture innovation sites to introduce and adapt the practice of wastewater reuse for irrigated agriculture. Using wastewater from the Jenin Municipal Wastewater Treatment Plan, the project aims to work closely with farmers and community leaders in the northern West Bank to increase production and demonstrate how treated wastewater can be reused safely in agricultural production and to begin to build Palestinian experience in this area. (2015) In phase two of the project, NEF has completed land preparation for 10 hectares (irrigation systems, fences, etc. ); 70% of trees have been planted (to be completed by the end of October); 25 farmers and 30 Ministry of Agriculture agronomists trained; 25 Palestinian farmers, agronomists and community leaders participated in a study tour, including Israeli farms and a treated water plant in Israel. In the West Bank, young children are particularly affected by malnutrition; 25 percent are malnourished and 45 percent go to school without an adequate breakfast. NEF’s School Feeding Program (SFP) began in 2004 as a pilot with the World Food Program (WFP) to develop a community-led, highly participatory approach to school feeding in kindergartens. The key innovation was to engage community-based women’s centers in the preparation of fortified snack foods, which are then distributed to clusters of kindergartens through a local network of transporters. NEF worked with the WFP to establish criteria for targeting schools and women’s centers to reach the neediest people in the West Bank. School selection focused on food insecure areas; women’s centers were selected according to the geographical distribution of kindergartens as well as their capacity; and poor, unemployed women and those from women-headed households were hired as cooks. Initially serving 2,500 kids in 17 kindergartens in Asira Alshamalih, the program expanded over the subsequent five years. By 2009-10, NEF’s SFP provided nutritionally rich mid-morning snacks to 17,000 kindergarten children on a daily basis (32.7 percent of the total 52,000 kindergarteners in West Bank). Many Palestinian women struggle to maintain a household because they have historically been excluded from opportunities to develop job skills. Across the West Bank, recent NEF projects have created hundreds of jobs and significant increases in income for women, giving them the unprecedented ability to provide for their families. 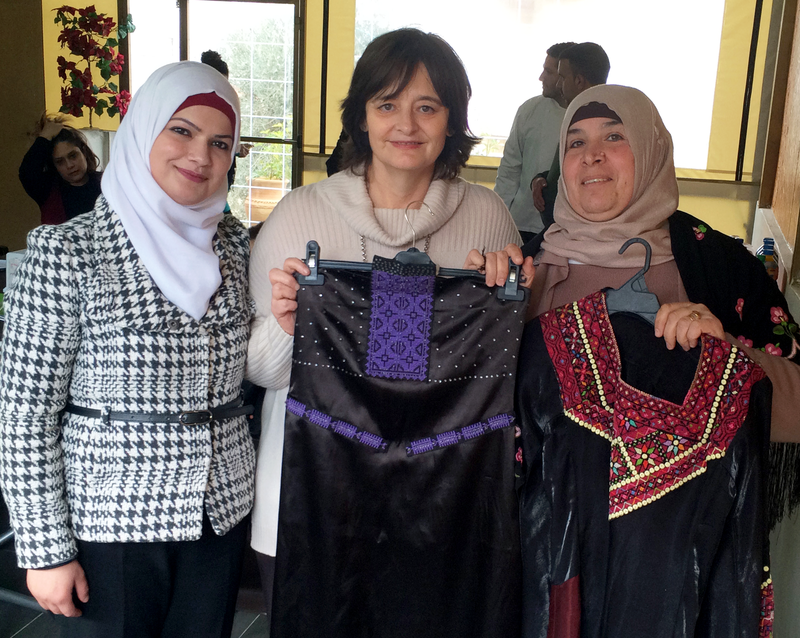 Despite this progress, there remains considerable unrealized potential to create sustainable economic development for women in the northern West Bank. 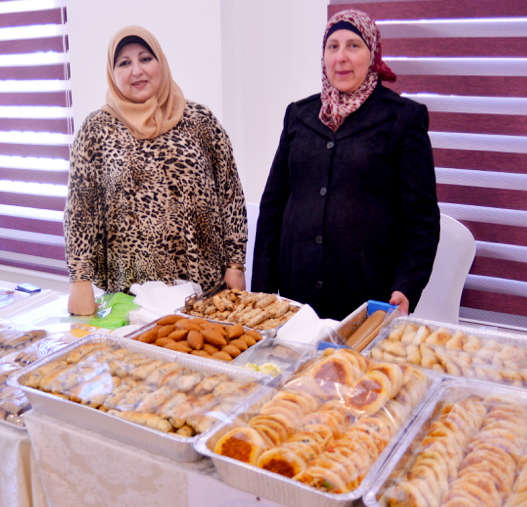 NEF aims to create permanent jobs and generate income in the northern West Bank by providing more than 200 women entrepreneurs with business management training, small grants, and microfinance; helping start 100 new microenterprises; and creating 300 new jobs. Key to the success of this program is developing ongoing peer mentorship to launch a new generation of women entrepreneurs. Over 290 women have been trained in business development (90 over target), more than 234 business plans have been prepared by project participants; 254 jobs created, 100 new businesses have been launched or expanded; 20 school canteens part of a microfranchise initiative that is achieving the goals of ensuring healthy food choices and increased income for employee shareholders and 5 women’s associations. Networking meetings are providing an important opportunity for entrepreneurs to share ideas about overcoming obstacles and managing profitable businesses. In its third three-year phase (2016 - 2019) of the Olive Oil without Borders project, NEF has expanded this project to new communities in Israel and the West Bank, as well as Jordan. The Israeli–Palestinian conflict is one of the most enduring and explosive conflicts in the world. In recent years, only 21% of Jewish Israelis indicate that their communities interact with Palestinians from the West Bank; similarly, interactions for Palestinians is limited to Israeli settlers and military. However, there is demonstrated interest at the community level on both sides to renew relations. Jordan, one of two Arab nations to have normalized relations with Israel, plays a critical role in supporting regional stability and providing Arab support for a two-state solution. As neighbors to the conflict, they are strategically placed to mediate and promote peace. OOWB III seeks to engage Jordanian public opinion and catalyze action to improve the regional enabling environment for peace while building personal relationships across borders. The olive industry, a cornerstone of rural livelihoods in the region, provides a point of cooperation and a common interest from which to build new relationships, institutions and enterprises. Economic cooperation within the olive sector provides an entry point for developing relationships that support conflict resolution and from which changing attitudes and behavior towards the ‘other’ can spill over. 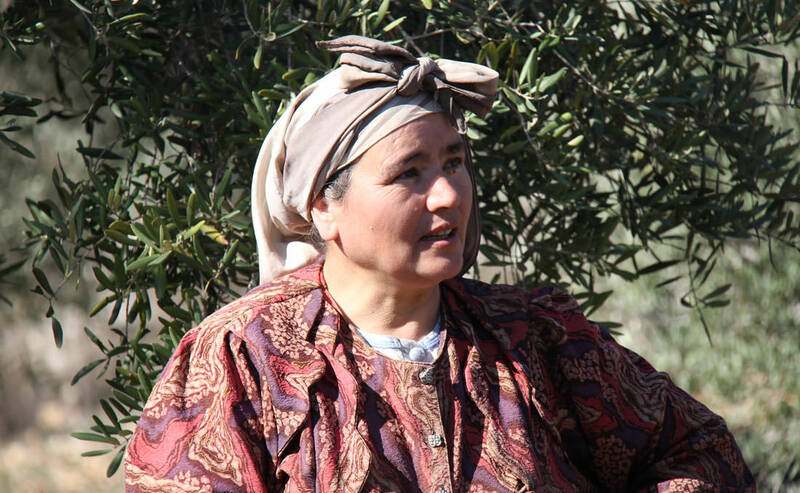 Since 2005, NEF has successfully trained more than 3,000 Palestinian olive farmers in improved production, harvesting, and post-harvest processing techniques. Using these proven strategies, the project activities are designed to increase olive productivity, improve olive oil quality, and strengthen competitiveness in the marketplace. Given the market opportunities and the shared importance of the olive oil industry to Palestinian and Israeli farmers, the Near East Foundation (NEF) is seizing a unique opportunity to promote reconciliation and collaboration between the two groups at a time when the diplomatic process is at a standstill. Between October of 2016 and September of 2017 NEF identified 20 new olive oil companies (7 from the West Bank, 7 from Jordan, and 6 from Israel) to participate in joint meetings next quarter in Amman and Tel Aviv to discuss opportunities for coordination on the export of organic and premium quality olive oil. Due to living in remote areas, restricted mobility, and sociocultural barriers, Palestinian women lack opportunities to access targeted business training, markets, and capital. The goal of the three-year Advancing Women’s Businesses in Palestine project is to empower women entrepreneurs to grow profitable and sustainable businesses that are market-oriented, scalable, and create jobs. NEF UK in partnership with the Blair Foundation is tapping into the economic potential of Palestinian women by strengthening their entrepreneurial skills and offering them intense business training and coaching. Ultimately, the project will select 60 women to receive one-on-one incubation services to accelerate the growth of their businesses. The project also will identify key linkages with local financial institutions to facilitate women’s access to capital, thereby ensuring they will be able to take their businesses to the next level. The Israeli–Palestinian conflict is one of the most enduring and explosive in the world. Israeli closure policies have had a negative impact on the Palestinian economy and on the agricultural sector in particular. Limitations on mobility have resulted in a generation of Palestinian and Israeli youth who have never known people from the “other side” and are therefore susceptible to negative stereotypes. NEF and its partners aim to bring about systemic change in the agricultural economies by providing agribusiness and entrepreneurship training for young Palestinian and Israeli men and women ages 21 to 35; facilitate cross-border agribusiness enterprises through small grants and technical assistance; and promote reconciliation and cooperation through communications and cross-border stakeholder workshops. The resulting businesses will increase productivity, income, and cross-border trade. 172 project beneficiaries have participated in cross-border agribusiness training sessions in the vegetable, herb, date, and sheep sectors. 51 joint-business plans submitted, and 19 plans (30 individuals) were selected for funding. Businesses include: dried fruits/vegetables; medicinal plants; and wheat grass juice among others. The first roundtable for the sheep cohort was held in September. The roundtables help develop the technical and business skills of workshop participants and build relationships among stakeholder networks across borders.